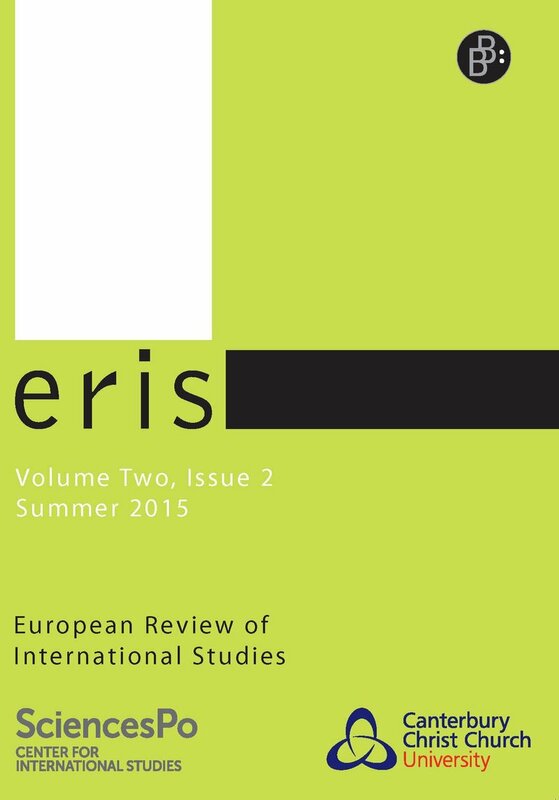 The European Review of International Studies (ERIS) seeks to be a journal to which those who wish to know what is happening in European International Relations can turn. It aims to achieve this goal by an extensive review section of monographs published in European languages and review articles of the literature on substantive themes or significant developments in different European academic communities. Its other principal goal is to publish original articles and from time to time translations of existing major articles not readily available in English. ERIS aims: (1) to reflect the European specificities and approaches, (2) to be an outlet in English in particular for non-English language authors but including English language authors, (3) to make the Anglophone world aware of research in other languages, (4) to make non-English language authors aware of research in other non-English academic cultures and languages, (5) to encourage transdisciplinarity across the social sciences and humanities among those concerned with international studies broadly defined, (6) to be eclectic in terms of concept, method and approach with rigorous international academic standards. In short, we seek to be a journal to which those who wish to know what is happening in European International Relations can turn.